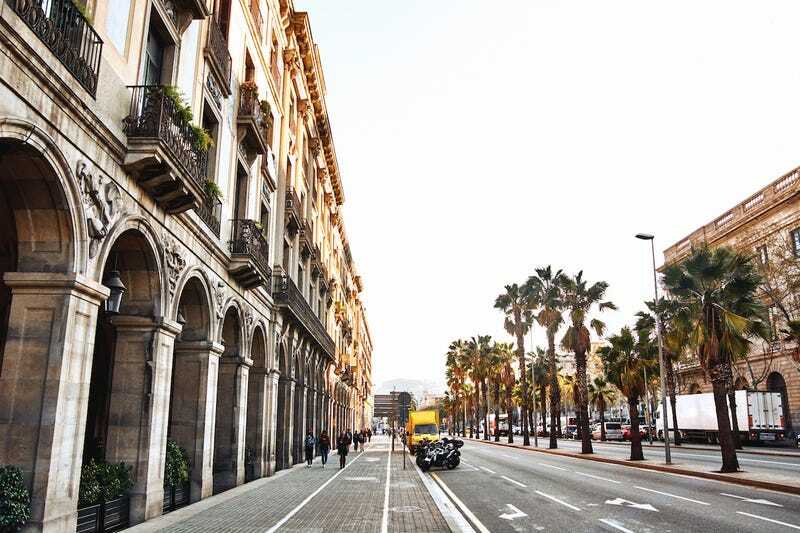 A few years ago, I was given the opportunity to study in Barcelona for a year. I had about six months notice, so I got my passport. Then, I went about the task of learning to speak the language. I paid for an expensive, online, language immersion type class. I won’t say the class wasn’t effective. It was, but in a limited way. When I arrived in Barcelona, I was able to easily understand the textbooks. Most of the lectures were pretty easy to understand. At least the parts where the instructors were speaking. Class discussions, on the other hand, were not so easy to follow. I also had trouble with team projects and working in study groups. Outside of class, I struggled as well. For example, I could order food, drive, take public transportation, ask for directions, and even interact with store clerks and bankers. True socialization was difficult though. It doesn’t take complete and total fluency to recognize awkward looks, and other signs that maybe people think you are odd. I caught on pretty quickly when it started happening to me. I pulled a friend off to the side. I asked him if I had offended anybody. The good news is that I hadn’t offended people. The bad news is that they just thought I was weird. Fortunately, my friend was experienced in English and Spanish. He explained it to me. The way that I spoke was stilted. It was like I was reading from a textbook or speaking as if I was on a job interview. I didn’t understand most of their slang. The slang I did understand was pretty outdated. I also didn’t understand their pop culture references. “Hey everybody! What’s going on? I’d kill for a beer right now. What’s the score? Last night’s game was freaking crazy”. “Hello to everybody here. What activities are you engaged in? I have been feeling cravings for a lager, and am at the point of frustration. How many points have been scored in the game? I found the game that I watched last night to be nerve wracking and full of excitement”. Better yet, imagine getting a blank stare when you use a common English slang term. That’s kind of the impression I was giving off, and it was doing nothing for my social life. In spite of these difficulties, I made some great friends and had a lot of fun in Spain. I just wish I had been able to communicate with the people I met more naturally. Since then, I’ve traveled extensively. I’ve also picked up a few more languages. The following are a few tips that I have learned that can help you learn to speak foreign languages in an organic, natural way. The first thing you have to do is pick a region. You can’t simply speak Spanish like a native. There are Spanish speaking countries and communities all over the globe. The Spanish spoken in Spain is not the same as the Spanish spoken in South America. The Spanish spoken in South America is different from the Spanish spoken in Mexico. Of course, this doesn’t even scratch the surface. Each country can have regions within it where language differences are quite noticeable. Then, there are areas where different languages have blended over time. These can be pidgin or creole languages. However, there are other language blends that don’t qualify as either. Spanglish is a good example of that. Yes, this does mean that you will have to re educate your self for each area of interest. You simply cannot transfer native speaking skills from one place to another. Many people will tell you to read books or watch television shows and movies that were produced in the country that interests you. There are a few problems with this. One is that movies and books are created for large, general audiences. Sure, characters might speak a regional dialect, but the dialogue can be easily understood by anyone speaking the language. Another issue is that the use of language, accents, phrasing, and colloquialisms might simply be wrong. Many movies and books have been criticized for their unrealistic portrayals of language and culture. On the other hand, newspapers and locally produced magazines are written using language that is meant for local readers. They aren’t trying to attract a wider audience. These publications contain articles, advertisements, letters to the editor, product reviews, information about local events and entertainers, and more. Their bread and butter literally depends on producing articles and other content that appeals to people in that region. These are the reading materials that people seek out online and purchase at the grocery store. Let’s continue this regional pattern. You can learn so much about language by reading local and regional publications. The same can also be said for websites. Here is something to consider. You might be active on different social media groups. You might also have hobbies and interests that entail you getting involved in online discussion groups, forums, etc. Many of these might be tailored to your location. For example, if hiking is a passion, you might be a member of some local Facebook groups where you can discuss your interests with people who live nearby. Then there are sites like Craigslist. They, along with various other buy, sell, and trade sites have created pages and microsites designed to get locals communicating and interacting with one another. Go to these sites, and check out their community pages. These are a bit like chat rooms, only they aren’t in real time. This means that you can read various postings, and get a feel for the way that conversations flow and the wording that people use. There are materials educational materials out there that really can help you to learn languages in ways that help you to interact with locals. Business people and government employees are two examples of people who often have to learn to interact with locals. There are programs that are specifically designed for them. It may be a good idea to search some of these out. You might consider looking into ‘not so traditional’ language offerings. For example, if you want to interact with folks in the Dominican republic, you might want to learn some Dominican slang words. Remember that developing the ability to speak like a local will probably involve understanding some risque references, and even some words and phrases that might be sexist, racist, or otherwise prejudicial. Even if you find certain things offensive, understanding what they mean is very important. For one thing, this can help you avoid saying anything that is unintentionally hurtful or offensive. This leads us to the next important point. You have to understand what people care about if you want to ‘speak their language’. In fact, this matters more than anything else. Even if you stumble over certain words and phrases, or commit some embarrassing (humorous?) gaffes, you will be able to create relationships with people if you understand and respect their passions and concerns. If you want to travel to a specific area and communicate with locals, just do a bit of research. What are their holidays? Are their local festivals? What music is popular? What sports teams incite the most passion? Are there sports team rivalries? Many slang terms, catchphrases, and other colloquialisms come from these things. There is no magical formula to learning to speak a language naturally. You have to work hard on developing an understanding of the nuances of the language you are trying to learn. You must be open minded to feedback from others. Finally, you must be interested in developing a true understanding of other cultures. Whether you visit Japan, France or Canada you must be open minded and prepared to see things from different points of view.